When it gets hot outside on the flight line, people get a little crazy!! 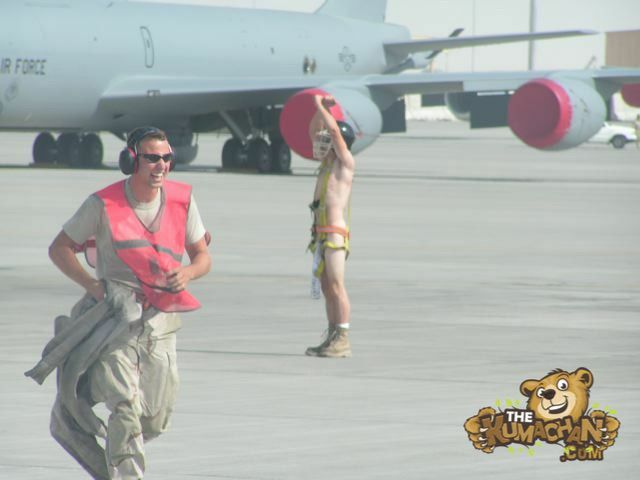 A few days ago somebody found a pic of a KC-135 guy marshaling a jet in his underwear. 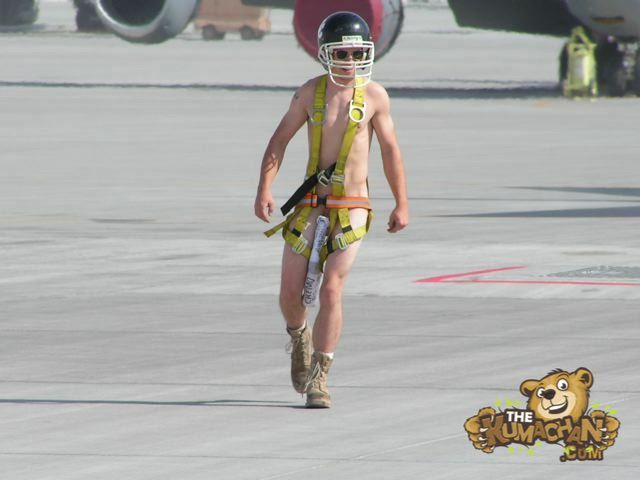 The next day Airman Jerknuts of our grand 34th AMU decided to out do the tanker guy. I think our guy won! The chief lost his mind over this. He read 11 people their rights and they all lawyered up. The chief confiscated a bunch of cameras (not before the pics got put on laptops of course) The kid asked everyone if they minded, including the aircrew and super, no one cared. There’s a huge cluster-gaggle with it. Apparently every lawyer in the AOR plus a few extras have to be flown in for this.